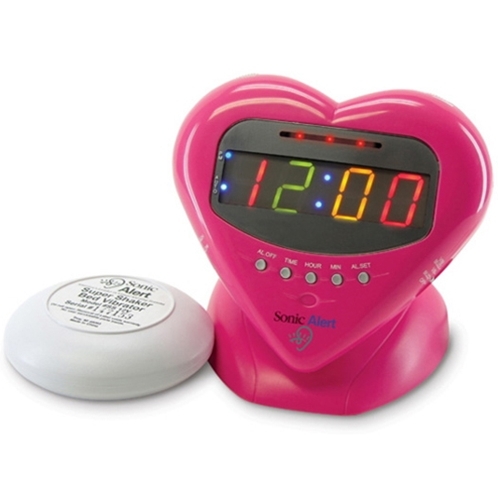 Sonic Boom Sweetheart Alarm Clock SBH400SS from HealthyKin.com has a hot-pink heart shape and multi colored display. It's a girl's decoration as well as an alarm clock. But, don't let the looks fool you . . . an extra-loud alarm and bed vibrating unit will get her out of bed!